Welcome To Glass Garage Inc.
Glass Garage Inc. is a locally owned and operated, full service glass shop. Our highly trained technicians specialize in glass repair and glass replacement for all vehicles (including heavy equipment & farming equipment). The experts at Glass Garage Inc. can also handle any residential or commercial glass application. We offer the convenience of mobile glass service to Jackson, Ohio and the surrounding communities within a 50 mile radius. Trust the professionals at Glass Garage Inc.! We value each customer and work hard to make sure everyone is treated with the highest quality service. Customer satisfaction is our priority! When choosing a glass company we know you have options. Whether you need auto glass, residential glass or commercial glass service, we ask you to give Glass Garage Inc. a chance. We promise you not only the lowest price possible, but also the best service available. An emphasis on quality is what sets Glass Garage Inc. apart from the competition. From the moment you place the service call through the completion of your project…you can expect only the very best! At Glass Garage Inc. you will be treated with respect and every job is handled with three components in mind: cleanliness, precision, and excellence. Whether it is auto glass, residential glass or commercial glass, we know you won’t find better service from any other glass company. Let Glass Garage Inc. be your first choice; call us today! 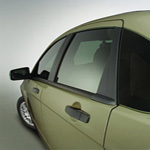 Whether it is auto glass, residential glass or commercial glass, we know you won’t find better service from any other glass company than what you will find by choosing Glass Garage Inc.